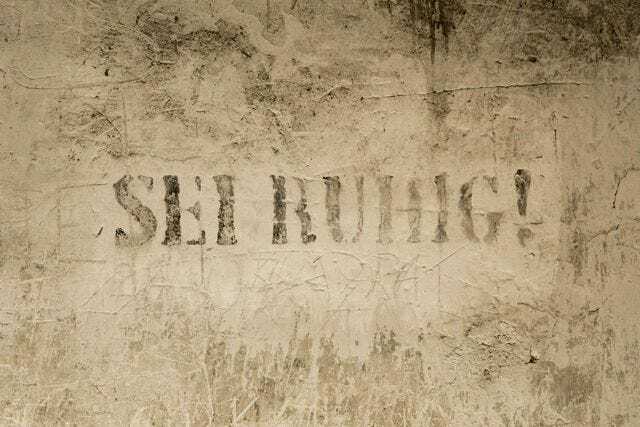 Saving Auschwitz: Is It Really Possible? Note: This story was originally published on June 11, 2014. We are sharing it to commemorate tomorrow's 70th anniversary of the camp's liberation on January 27, 1945. We were in Orange Group. Feliks, the bleach-blond teenager who'd driven us from Krakow handed us two orange stickers to place on our chests and we waited to be called. He might actually have been in his twenties, but his haircut said 19, max. "Is this your main job?" I asked. "Yes. I am here twice a day, seven days a week." With that, our tour was called and we headed into Auschwitz. Two days prior, The National September 11th Memorial Museum opened a block down from my office. Though a foregone conclusion since the dust began to settle twelve years ago, the monument received an uneasy welcome. Families of victims expressed outrage over a $24 entrance fee to the place that holds the remains of their loved ones. A lavish VIP opening party at the museum drew obvious criticism over boozing at what amounts to a mass gravesite. And, of course, there was the cheese plate. It seems, as humans, we are biologically incapable of properly memorializing our tragedies. Truly, what might a “proper” memorial look like? How do we want to remember? And, how should we? I'd always wanted to visit the camp. Growing up, I'd read every imaginable YA novel about the Holocaust and visited the US Memorial Holocaust Museum just months after it opened. To be clear: I am not of Jewish descent, nor did my family lose anyone in the genocide. I was just one of those kids who gravitated toward this event, so unfathomably horrific that I couldn't get my third-grade head around it, and in response, stuffed more and more information in. Ever since I'd heard Auschwitz was a place one could visit, I'd wanted to visit — theoretically. But, when my boyfriend announced on my 30th birthday that part of my big-surprise trip was a journey to Auschwitz, I was overwhelmed. I don’t do Disneyworld. I do "site of profound historical relevance." I’m a history junkie and — have at it, shrinks of the world — Holocaust history is the stuff I can’t get enough of. Of course, I wanted to go. But, the thought of actually arriving made my stomach jump and jitter for almost an hour. Auschwitz-Birkenau was liberated by the Soviet army on January 27, 1945. Of the prisoners, 7,000 were freed, but tens of thousands had already been killed in the camp or forced out on death marches in the weeks prior in the Nazis' frantic attempt to liquidate the camp and destroy all evidence before the allies arrived. 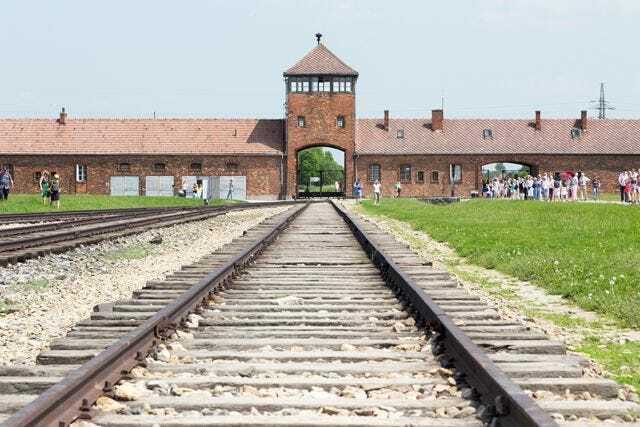 During the five years since it operated as both a concentration camp and a death camp, approximately 1.3 million people were killed at Auschwitz. Just two years later, in July 1947, the Polish government established the site as a memorial to all those who had been persecuted by the Nazis. The camp was opened as a free museum to all who wished to visit, and millions have done so ever since. In 1979 it became a UNESCO World Heritage Site, and in 2012, 1.43 million people toured the camp. Auschwitz tourism is advertised in the Krakow airport, the town of Oświęcim revolves around visits to the mammoth site at its center, and crowds are so huge that the museum requires anyone arriving after 10a.m. to join a tour group. All this seems like nothing but a very good thing — millions of people making the effort to remember and pay tribute to one of the greatest atrocities in the history of humankind. But, many feel differently. 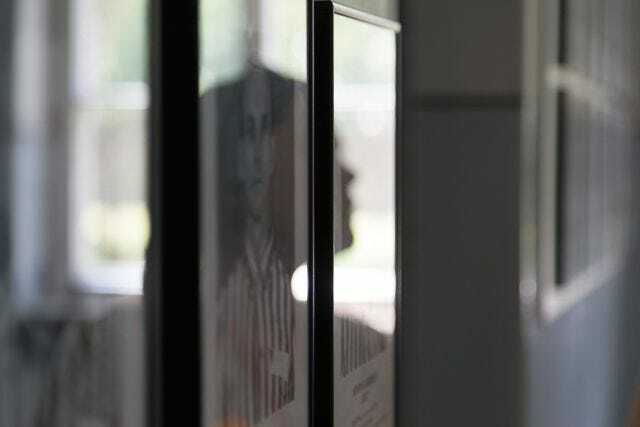 Historian Robert Jan van Pelt writes, "Many Auschwitz survivors have told me that a visit to the camp can teach little to those who were not imprisoned there." 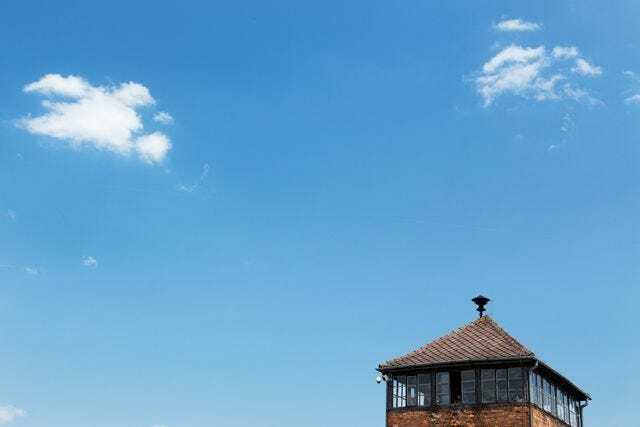 It's van Pelt's contention that Auschwitz should be preserved for the survivors, available for them always to have an opportunity to return, should they wish. But, once they have all died, he believes it should be left to degrade. He sees the camp, particularly Auschwitz I, as a "kind of theme park, cleaned up for tourists," he told Smithsonian Magazine in 2010. At the time, Poland was actively reaching out to the international community for funds. The camp and its relics were in need of upkeep. Both weather and time had damaged the camp, and it would take hundreds of millions to make building repairs and handle delicate artifacts such as the heaps of human hair and thousands of eyeglasses that remained as damning testimony to the crimes committed there. Dozens of countries immediately responded, creating a fund to protect and preserve the museum for the foreseeable future. Auschwitz II-Birkenau was in a particularly derelict state. 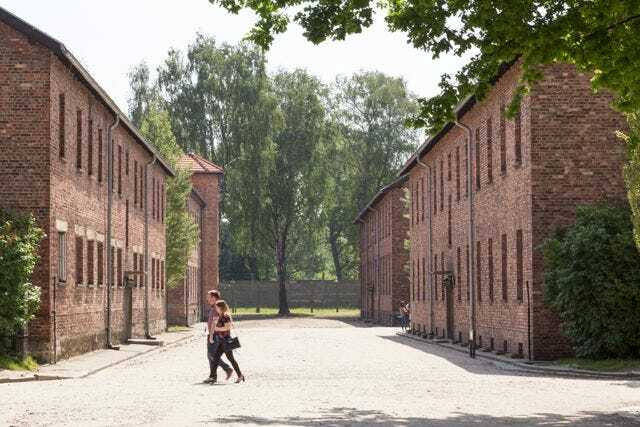 This camp, a few miles from Auschwitz I, was the main killing center of the compound. In commenting on Auschwitz's cash crisis, van Pelt quoted former Buchenwald inmate, Jorge Semprun. Semprun hoped that when there is no one left who can truly remember what happened at the camps, "grass, roots, and brambles would be allowed to take over...destroying the remainder of the fences, barracks, and crematorium, effacing 'this camp constructed by men.'" Rather than fixing and repairing and eventually letting Auschwitz become something new and sterile, should we let the earth make its own memorial? Says van Pelt, "A million people literally disappeared. Shouldn’t we confront people with the nothingness of the place? Seal it up. Don’t give people a sense that they can imitate the experience and walk in the steps of the people who were there." I'm not a survivor, nor even a relative or acquaintance of one. I have no right to an interest; I've just done a lot of reading and have had an audacious fascination for the whole of my easy, un-persecuted life. 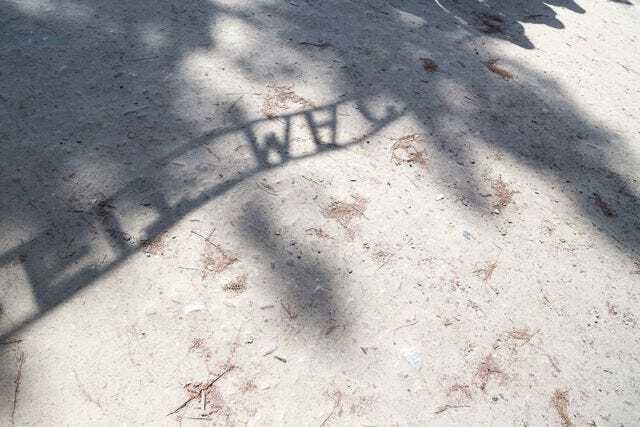 When I entered Auschwitz on a hot May morning, strolling in beneath the wrought iron shadow of Arbeit Macht Frei, I was just another member of Orange Group. 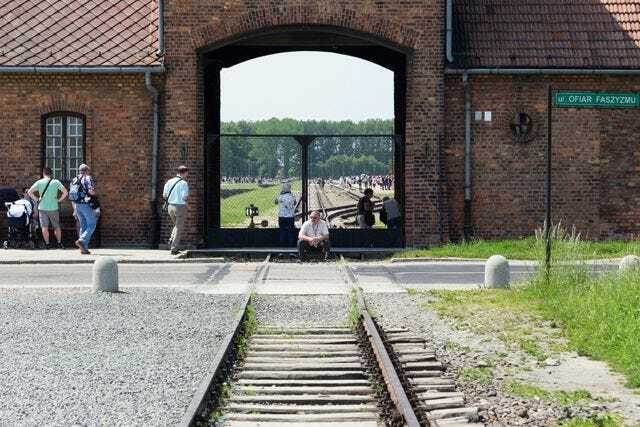 A tour of Auschwitz takes about four hours from start to finish. Before entering, we were handed a pair of headphones and a receiver connected to our tour guide's microphone. Magda introduced herself to our group of thirtysomething English-speaking visitors, all of us squinting under a shadeless sky. Magda grew up in Oświęcim, and her grandparents, like nearly all the Poles in the town, were forced from their homes when Nazis invaded. SS officers lived in Magda's house while her family rode out the war in Krakow. All this I found out later, having plucked up the courage to ask her about her experience working at the museum and living in the town. From the moment she introduced herself, Magda was of enormous curiosity to me. The thought of someone growing up in what amounted to a mass grave, and then walking strangers through it all day, every day — how could a person stand upright under all that? As Magda walked us past the administration buildings, pointing out the spot where the camp orchestra was forced to play ("So prisoners could march to the rhythm, making counting easier for the guards") I didn't agree with van Pelt's image of a cleaned-up theme park. Like everyone, I'd seen too many photos of these buildings in their functioning days to see them as anything but shells of a horrific past. And yet, to an innocent eye they might give a sense of something else. Maybe something like Colonial Williamsburg. At Auschwitz I, we saw the watchtowers and wired fences. We saw exhibitions of photos secretly taken by prisoners, desperate to document the atrocities occurring in the camp. Blocks and administrative buildings were either preserved as examples or converted into exhibit rooms — one filled with luggage, another with prosthetic limbs and crutches, and others with heaps of hair and shoes and kitchenware. 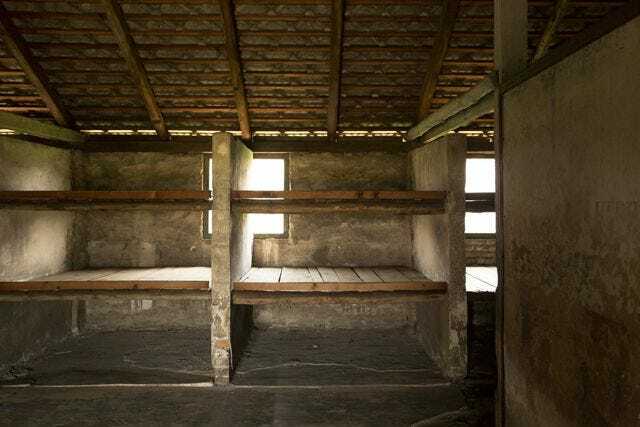 These rooms are set up to remind the visitor first of the lie that prisoners were told right up until they arrived: That Auschwitz was the start of a new life, and so they should bring the essentials needed to set up a home. In reality, everything from the clothing to the pots and pans were disseminated among the Third Reich. The hair shorn from prisoners' heads was woven into fabric and stuffed into German mattresses. The only reason there is any left to display is that they took so much from so many. By the time liberation came, they couldn't even begin to bury all of their evidence. Evidence is the point of this place. That's the thought that beat through my head as we wandered out of the blazing sun and into another building, Block 11. There is no decision to make. Anyone who'd let this place fall apart and these things degrade is desperately insane. Easy for me to say, here in Orange Group, I suppose. 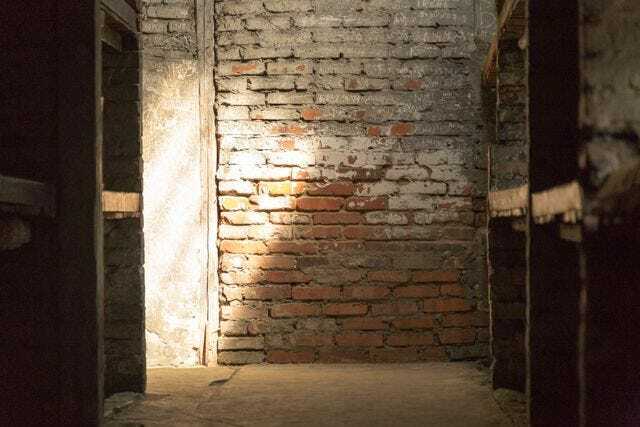 Block 11 was the punishment building — the torture building — within Auschwitz. What sounds redundant in fact highlights the complex structure of the camp that many amateur historians like me may not have understood. 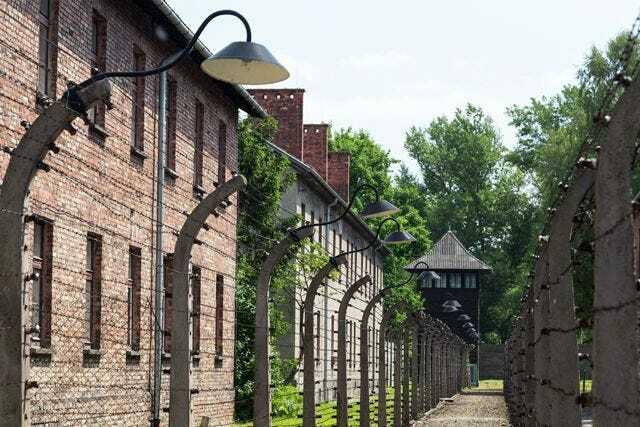 Auschwitz was first a concentration camp for Poles and political prisoners. 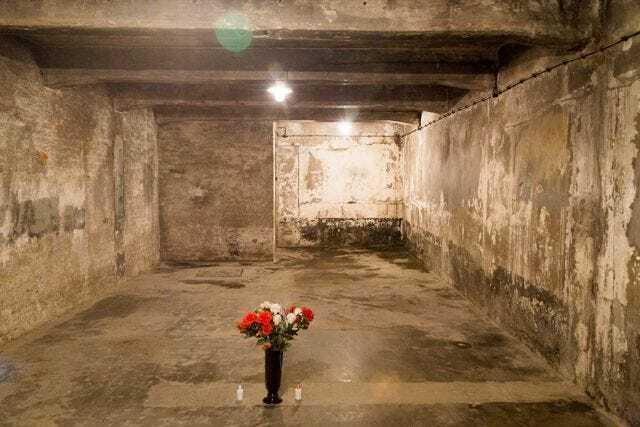 Any inmate accused of attempting escape or uprising was put on "trial" in Block 11, and this tradition continued when the Final Solution was formalized and Auschwitz began to function as an extermination camp as well. We toured the cells in Block 11 — some for starving, others for light deprivation, and others so small that four prisoners would be forced in together, unable to sit or lie down. It was in one of these cells that Zyklon B, a delousing agent, was tested as a means for killing humans. It took two days and 750 prisoners (600 Soviet POWs and 250 sick inmates) to find a lethal dose. Sometime after Block 11, I had a terrible thought: My feet are killing me. Reflexively, my eyes clamped shut. I couldn't believe my stupid, awful, suburban brain. My feet were not killing me. My feet were slightly tired from walking around for ninety minutes and I am a monster. But I wasn't the only one with shameful thoughts of their own comfort. I saw it in the sunburnt shoulders of a pale English teenager in a tank top as we stepped out of the 88-degree humidity and walked into the gas chamber. This is the final stop on the Auschwitz I tour: the only gas chamber still standing. There is no way to be ready to stand in a room where thousands were slaughtered with such constant, unreal routine. A small sign at the entrance reminded us that we were entering such a place and to behave appropriately. I watched as the English girls shoulders dropped and she sighed, instinctively, with relief as she crossed the door-frame. She caught herself and looked behind at me, and I just looked back, thinking the same thing: It's so much cooler in here. And, I'll never forgive myself for having this thought. By 1:30, I was starving. Except no, I wasn't starving. I was hungry for my lunch, which I purchased in the cafeteria adjacent to the entrance to Auschwitz I. I felt lightly numbed all over, but scarfed down a cutlet and some potatoes before heading out to meet our tour guide for the ride over to Auschwitz II-Birkenau. I felt queasy for hours, both from eating too fast and for eating at all. I didn't think I'd be able to eat here. I didn't think I'd be able to eat all day, and maybe the next day. Surely, I'd be hit with a sorrow so overwhelming that my very molecules would be changed. I expected hordes of sobbing visitors. I saw the hordes — tens of thousands of people visited Auschwitz that day. But, there were no tears. There is something to be said about that cafeteria. It is a necessary part of any big, out-of-the-way museum. And, that's really what Auschwitz is now. It is harrowing and stark, a shock to the system unlike anything you'll ever experience at Colonial Williamsburg. But, it has been necessarily museum-ified. You simply cannot host 30,000 visitors per day and not offer things like wheelchair ramps, water fountains, and a cafeteria with a vegetarian option. Sitting there, you are reminded of your place in the world and in this museum. As van Pelt says, none of us can truly gain an understanding of what it was like to be shipped to this camp in 1942 by visiting this camp in 2014. It’s the cafeteria, not the barracks, that remind us of this. 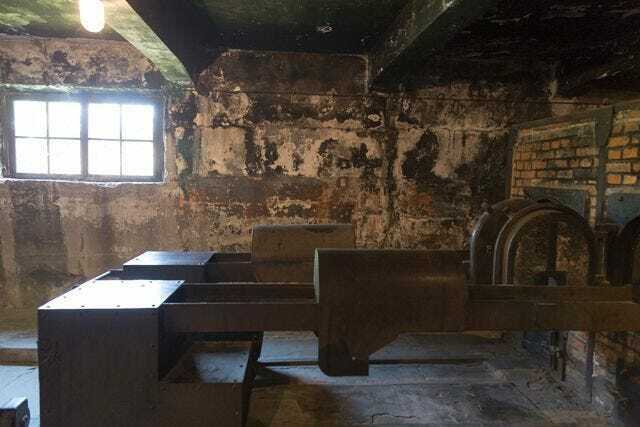 You can visit the barracks and the crematoria, but you must do so with thirty other people, wearing headphones, the voice of your tour guide solemnly explaining that the ovens were staffed by prisoners known as the sonderkommando. 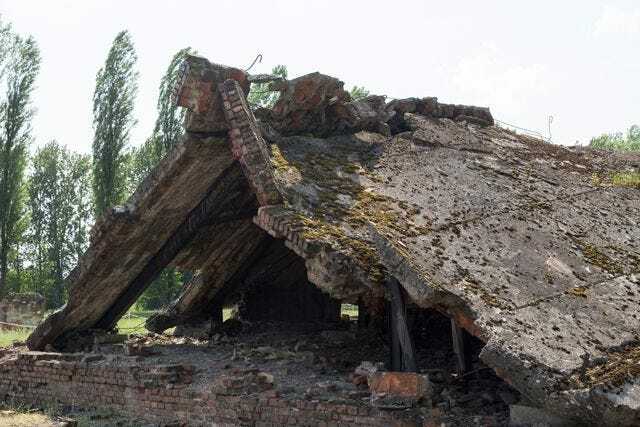 Because they knew the true nature of what happened in these buildings (the tour guide will explain) the sonderkommando were routinely gassed and replaced with new staff every four months. The first duty of the new team was to dispose of the bodies of their predecessors. Magda told us all that and more in a calm, relentless explanation as we embarked on Birkenau. "Her voice is perfect," my boyfriend noted. And, it was true. She was neither dramatic nor upbeat, but sad and steady. She was also the most knowledgeable person I have ever heard speak on the subject, as is required by her job. Not only must she know every function and area of the massive camp in explicit detail, she also often needs to riff while waiting for groups to clear out of a building so hers can enter. "Sometimes we are waiting 30 minutes for Block 11," she says, remarking on how busy Auschwitz can get on peak days. 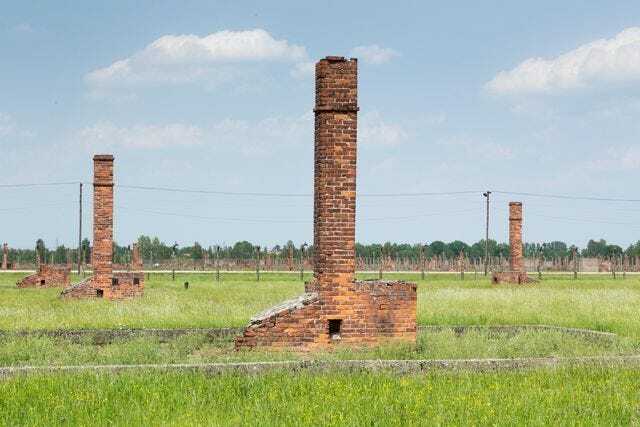 Birkenau received its first prisoners in 1942. 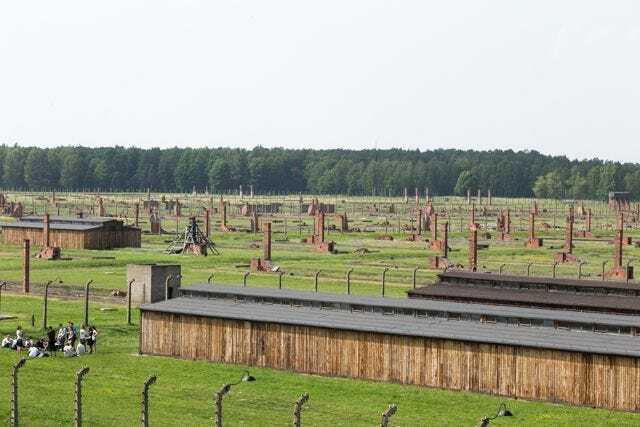 This vast camp became the largest killing center of the Holocaust. Upon arrival, a selection took place. Those sent to the right were shorn, numbered, and forced into slave labor. Those sent to the left were told they would have a shower. Forever let this place be a cry of despair and a warning to humanity where the Nazis murdered about one and a half million men, women and children, mainly Jews, from various countries of Europe. It's impossible to know the exact number of people killed at Auschwitz. The Nazis masked and destroyed what records they made in an effort to conceal their crimes, and were successful in doing so for so many years. The Final Solution was fueled by secrecy, and this camp remained so terribly functional because of it. The museum currently estimates that 1.3 million people were killed at Auschwitz: 1.1 million Jews, 140-150 thousand Poles, 23 thousand Sinti or Roma (Gypsies), 15 thousand Soviet POWs, and 25 thousand others. These numbers are repeated everywhere at the camp: on postcards in the bookstore, on wall placards as you enter a hallway filled with stolen luggage, by Magda as she walks us through one killing site after another, reminding us that this luggage, this hair, these children’s toys represent barely a fraction of those murdered. Last December I visited the US Memorial Holocaust Museum for the first time since it opened ten years ago. In the gift shop (this one has a gift shop, to be sure), among the remembrance cufflinks and copies of Elie Wiesel stood a shelf of travel coffee mugs with the phrase "Never Forget" printed on them. "Never Forget" is perhaps the phrase most associated with Holocaust remembrance, and so it should be. Simple and clear, a mandate so obvious it can be printed on a travel coffee mug and the barista at Starbucks will know what he should be remembering as he pours in your triple no-foam latte. I saw those mugs and thought, yuck. How appalling and how tacky. Holocaust remembrance is not an accessory. You might as well buy a 9/11 cheese plate. Driving back to Krakow that day, I remembered again. Fine. Why not? Recent estimates list less than 500,000 living survivors worldwide. A thousand of them die every month, and that number will likely rise as the group ages. We're approaching an alarming point in history — a world without survivors. When the last one dies, the last true memories will be gone. We must accept that every memory from then on will be secondhand at best. We all know the price of forgetting — and the very real capability of humankind to forget our greatest failures and repeat them. In fact, the term "genocide" was first applied to an event not long before the Holocaust: Between 1915 and 1923, 1.5 million Armenians were killed at the hands of the Ottoman Turks. Complete with 25 concentration camps, this event bore a marked similarity to the plan that Hitler would soon attempt on an even larger scale. The Armenian Genocide was instantly and consistently denied by the Turkish government. Even today, only 21 countries acknowledge it took place. Now, in 2014, the first genocide of the 21st century enters its eleventh year in the Sudan. Nearly half a million Darfuri people have already been killed. It is not enough to say the world won’t stand for genocide, because genocides are rarely born whole. Indeed, Nazi documents indicate that Hitler's Final Solution to eradicate the Jewish people, along with all those he deemed unworthy of society, took years to evolve. "There wasn’t a grand strategy in 1940 that the camp would accrue a number of functions and ultimately become a death camp," says Debórah Dwork, a Holocaust Historian at Clark University. "I do not see it as planned at all. Way led to way, and step led to step." And so, bring on the travel mugs. Let the barracks be repaired with contemporary mortar. When our groping fingers erode the crematorium walls, put plexiglass in front of them. We won't be able to feel their cold, brick there-ness, but at least our great-grandchildren may be able to see them with 23rd-century eyes. And, with the Holocaust, with anything so wildly unreal, it is better to have something to see. How could we expect them, two hundred years from now, to close their eyes and imagine? Those who will visit in twenty years time will not be there to remember but to learn. 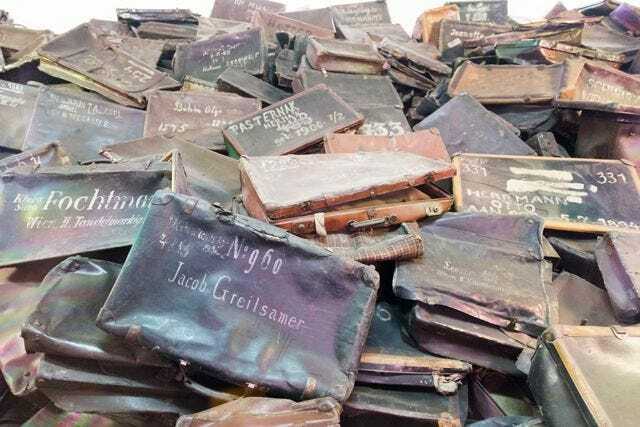 Let Auschwitz become a learning aid — anything, oh anything but a heap of rubble. In a perfect world of thoughtful people, a rubble-heap would be ideal, of course. We could let the world lay waste to their buildings and their cells, and their monstrous killing mechanisms. But, we forget, inevitably. Władysław Bartoszewski, the chairman of the International Auschwitz Council, reminds us that "It lies in the nature of man that when no tangible traces remain, events of the past fall into oblivion." We cannot be trusted with only symbolic rubble and our own faulty minds. Holocaust denial is already a terrifying reality among fringe groups. What will it be a hundred years from now if all the evidence is left to rot? There is a growing urgency to photograph and document the living survivors, to prevent the Holocaust from being remembered "in the abstract." We are a privileged generation to have that luxury. We still have them to listen to; we can still receive their testimony. But, if an abstract memory is all we have in the future, it is infinitely more vital than no memory at all. It is a compromise we have no choice in making. And, when all the survivors are gone, it will be just us in Orange Group left to make it. Walking out of Birkenau toward the parking lot where Feliks waited to drive us back to Krakow, his van still running to keep the AC on, I pose my question to Magda. With a belly full of nerves, I asked: Did she think Auschwitz should be preserved? Even worse: "Why do you think so?" "Because it is the wish of the survivors."